Squirrels, Acorns, and Fall. 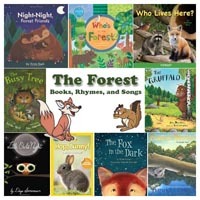 Discover and experience nature and squirrels in fall or autumn. Hand out a paper lunch bag for each child and take children on a walk to collect a variety of leaves, acorns, and pinecones. Talk about the color, sizes, and shapes of the collected items. Provide boxes for children to sort their treasures. 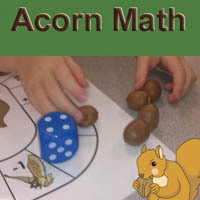 Use the acorn and pinecones to play some games. 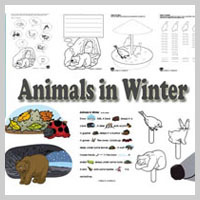 Explain that squirrels are scampering to gather nuts, acorns, and pinecones to store for the winter. 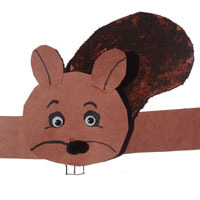 This month your kids will go nuts for the squirrel crafts, activities, lessons, games, and resources that we've gathered for you. Warning! Some children are allergic to nuts. Make sure to check for food allergies before serving nuts to children. Talk about squirrels and where squirrels live. 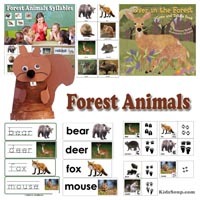 Go outside to looks for squirrels and observe these fun animals around your neighborhood. 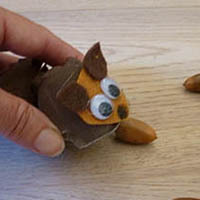 Provide children with a small paper bag and take them outside to collect some things they find in the yard or even better take them to a woody area. 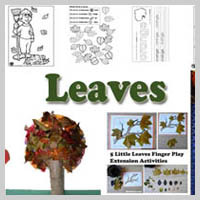 Let children collect pinecones, acorns, leaves, and small twigs. 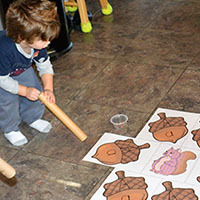 Use the special things he or she collected for a variety of math activities. 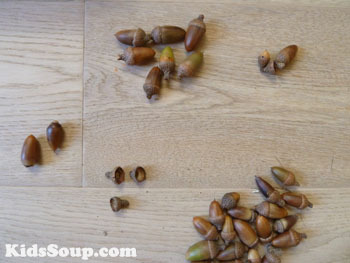 Caution: Acorns could be a choking hazard for young children. 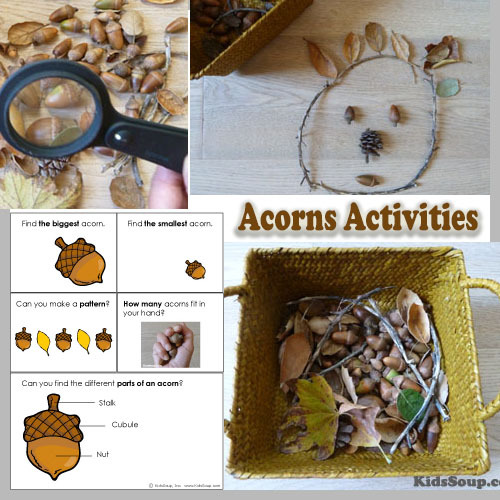 If you have children under the age of three, you might want to use paper acorns instead of real ones for some of the activities listed here. 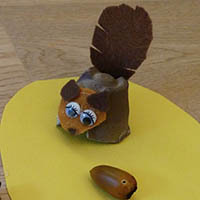 The busy squirrel scampers around. Gathering nuts that fall to the ground. Hiding them in secret places. Covering them over, away she races. 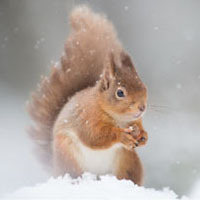 The busy squirrel seems to know. Winter's winds soon will blow. 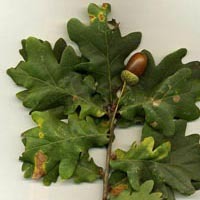 Acorns are seeds from the oak tree and they are plentiful to find in many areas during the fall. 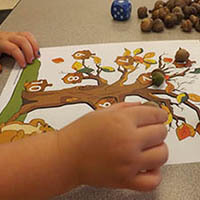 Acorns are great to play and learn with. 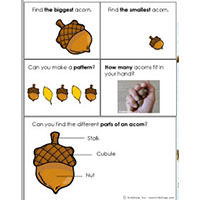 Together with your children, look at an acorn together. 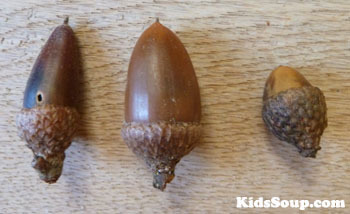 Point out the different parts of an acorn (stalk, cupule, nut). 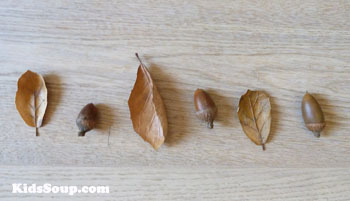 Find a partially opened acorn and crack it open the rest of the way to study the inside. 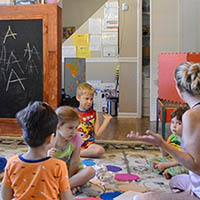 Let children sort and count the items in their collection. 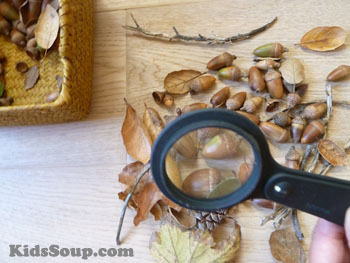 Let children use a magnifying glass to look closely at the different kinds of things they found. Can they find any bite marks? Let children describe the different items. Use language concepts such as same and different, big and little, brown and green, smooth and rough, etc. Let children make patterns. 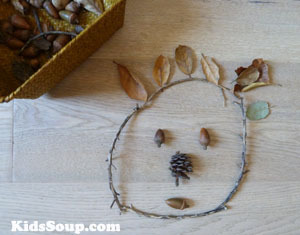 For example: have children make a row of their items using a acorns, then one pinecone, etc. 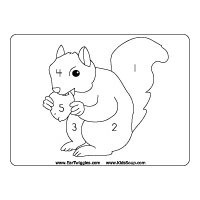 Then let them create some more complicated patterns, such as two accorns, one leaf, two acorns, etc. 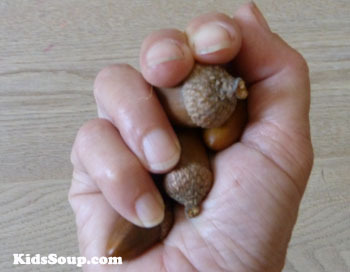 How many acorns, twigs, etc., can we hold in one hand? Let children estimate how many items they will be able to hold in their hand. Then, let them grab a handful of the same items and count them. For older children, let them write down their numbers. 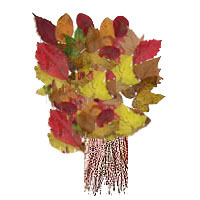 Let children use the different fall items to create artworks. 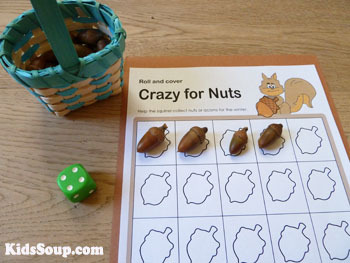 Print the Crazy for Nuts game mat printable and laminate for extra strength. 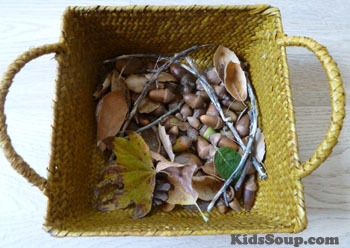 Place acorns or nuts inside a small basket or container. 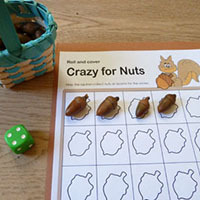 Let children roll a die and count and place the matching number of acorns on the Crazy for Nuts game mat. 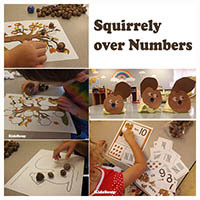 Let children count the acorns after each roll. 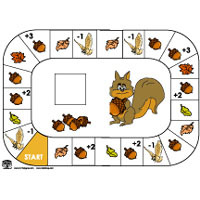 The player that first covers all the acorn outlines on his/her Crazy for Nuts game mat wins the game. 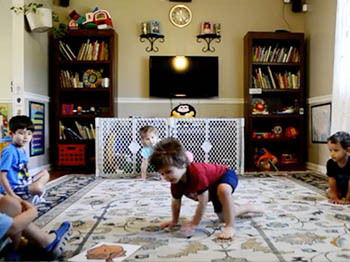 Place a hula hoop or a piece of brown or green fabric napkin for each child on the floor. 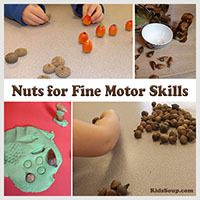 Place lots of acorns or nuts all around the room. 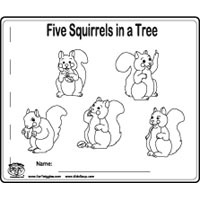 Let children pretend to be squirrels gathering as many acorns as they can carry. 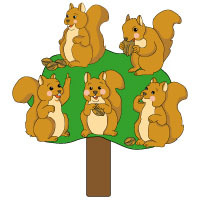 When the music stops, the squirrels go “home” to their trees (hula hoops). 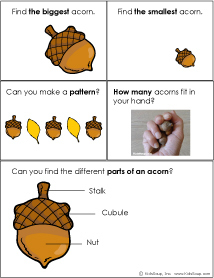 Ask children to place their acorns in their home. How many accorns did they gather? Ask each child to count them and tell you the number. 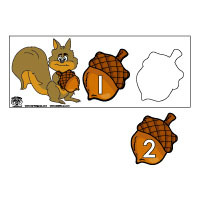 Continue until no more acorns are left.